New community store nearing completion. You are here:Home » News » New community store nearing completion. 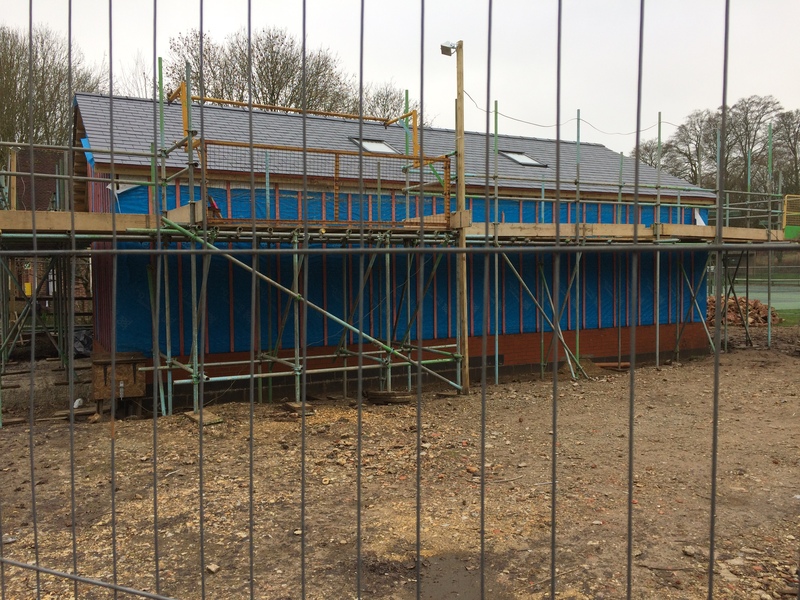 Building work on the new community store in Preston Candover is nearing completion. Builders, CPFM Construction of Alresford, were on site on 5 November, immediately following the village bonfire and firework display the previous Saturday and work continued apace until the Christmas break. All of the main framework is in place and the roof already ’tiled’ with roof-lights in place. The exterior cladding needs to be added and, no doubt, more interior work is needed before the ‘fit-out’ can begin to start. That could take several weeks but opening is planned around April/May. More information about the shop and current activities and future developments can be found here.